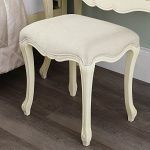 A dressing table is incomplete and void without a complementary dressing table stool. 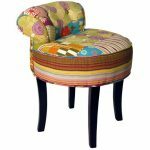 A dressing table chair may also be used as a substitute to the dressing table stool. Such bedroom furniture is ideal for the modernized woman as it accentuates her sense of style and sophistication. 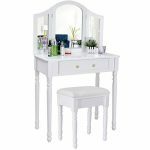 A dressing table serves as both an area for cosmetic application and can also be used to store jewellery and cosmetic products. It is thus essential that you have a designated area where you can apply make up in readiness for the day ahead or loosen up in the evening after a tiring day. 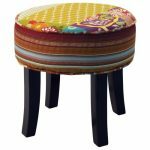 Our organization offers an elaborate range of dressing table sets to select from be it that you are after a customized stool or a cozy modern dressing table chair, you can find the perfect vinatge stool that is in line with your desire. 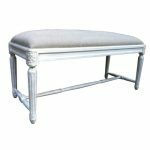 Our products comprise of an assortment of tables in order to suit the budget and preference customers. 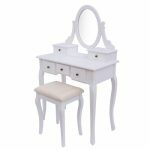 Amongst them is the French dressing table that is almost guaranteed to give your bedroom a luxurious feel. 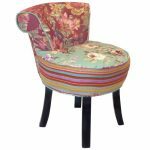 It comes fully assembled except for the legs which are fitted on site upon delivery. Our products are of exceptional quality and long lasting as only the finest wood is used during the manufacturing process. 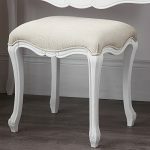 However, we recommend the purchase of the vinatge stool as an accompaniment of the French dressing table. 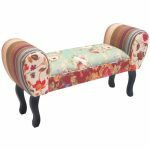 The two are compatible since they create an antiquated feel in your bedroom. 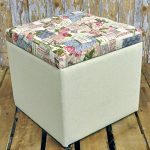 French Shabby Chic Style Bench Stool / ottoman in Natural Linen Fabric hand made from solid wood in retro touch finish. 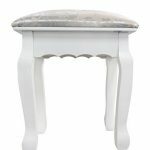 French Shabby Chic Style hand carved Bed End Bench. 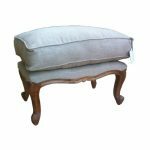 Upholstery in Natural Linen. Real Mirrors: a large mirror with 2 side mirrors which can be folded inwards make your make-up very conveniently.